When it comes to engineering, we solve problems of scale and work on cutting edge and open-source technologies. As a high-growth, e-commerce company, we are searching for talented and passionate software engineer interns. Our culture is one that strives on solving difficult problems focusing on product engineering based on hypothesis testing to empower people to come up with ideas. We address a wide array of computer science problems including advanced web applications, cutting edge user interfaces, scalability and performance of applications, intelligent search algorithms, global data distribution and monitoring of distributed systems. You will work alongside a highly experienced team of engineers from various academic and industry backgrounds. Want to get notified about new jobs at Expedia Group? 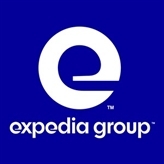 Software Engineering Intern at Expedia, Inc.